Sparkworld is a well-established family business that has been trading for over thirty years in the South West of England. In that time the company has gone from strength to strength with retail space now covering more than 20,000Sq. Ft. and 40,000Sq. Ft. of warehousing. We take pride in our reputation and always endeavour to provide excellent service to our customers. Dealing with all the major manufacturers allows us to offer a wide range of products to choose from, with over 1000 appliances on display. Many of our appliances are live allowing you to ‘try before you buy’ which is a major benefit of shopping locally. Take time to view our large display of uniquely designed kitchens, from timeless classics to the most up to date contemporary kitchen furniture. If you are renovating your whole kitchen speak with one of our talented designers who will manage your project from start to finish and bring that dream kitchen to life. We understand it can be a worrying time, but your designer is on hand to help to ensure everything runs smoothly. Through the years our Neff demonstration days have been a huge success, using our well-equipped demonstration kitchen. Showcasing their innovative products and cooking some wonderful dishes to delight the taste buds. Their home economist puts the products through their paces and shows you how to get the best results every time. Once you’ve made your choice talk to one of our friendly, knowledgeable and well trained staff. 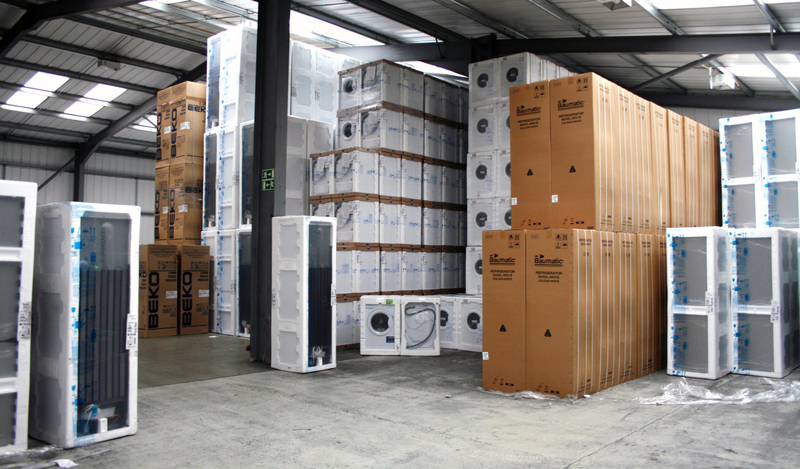 We offer a unique ‘buy and store’ service where you can take advantage of a current offer or discount, and we will conveniently store your appliances until you are ready, in our 40,000Sq. Ft. warehouse. Once your purchase is complete our two stores are ideally situated to provide a fast, friendly and efficient delivery and installation service, throughout the South West. Using our fully trained staff with local knowledge and our own fleet of vehicles we are able to provide the flexibility needed for deliveries, especially in the rural areas. Where navigating those country lanes without a problem is paramount. 2018 promises to be an exciting year for us, with the introduction of fitted bedrooms. 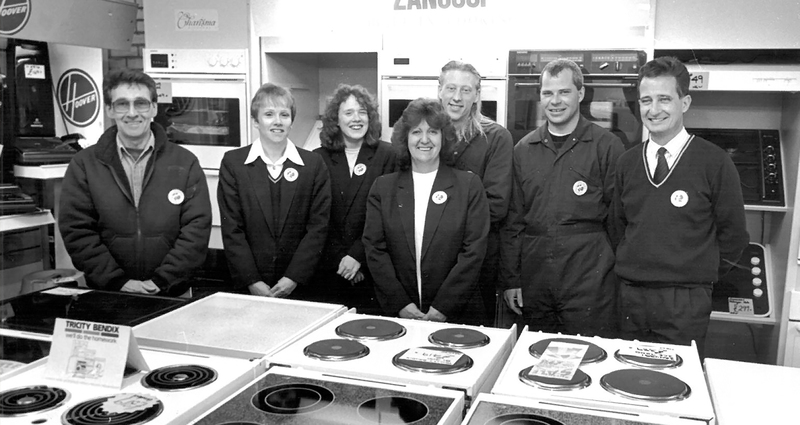 1985 - Sparkworld was founded by Marian Crausaz and Ian James, based in a small unit just outside of Torquay distributing reconditioned appliances around the country. 1986 - After a short period, Sparkworld relocated to a 6,000 sq.ft warehouse on the Brunel Industrial Estate, in Newton Abbot. 1987 - Sparkworld out grew the Brunel warehouse and needed a larger premises to continue, moving to Anchor buildings on Battle Road, Heathfield Industrial Estate. 1998 - In the summer of 1998 after 10 years of continual growth the company purchased what was the Coca-cola distribution centre, at 9 Battle Road and added a retail showroom. 2003 - Sparkworld purchased a 13000 sq ft premises in Martock, Somerset to continue our retail expansion. 2008 - The Heathfield Kitchen showroom opened, offering our customers everything including the kitchen sink! 2014 - Previously a furniture showroom, we installed a massive 4500 sq.ft kitchen studio with a full shop renovation at the Martock site. Displaying 12 kitchens, live appliances and a cookery demonstration area. 2015 - Major Heathfield Extension. Extending the showroom by over 2500sqft, the additional space has been used to install 12 new kitchens, live appliances and a cookery demonstration area. The main showroom now includes manufacturers ‘shop in shop’ concept displays and an even bigger selection of top brand appliances. We are proud to have strong links with the local community which has included sponsorship of Torquay United football club, Bovey Tracey under 14’s football club and Paignton Zoo. Where it all began, the birth of your local appliance Super Hero, Sparkworld. New building, new team. Waiting for the MD to replace the Box Brownie so we can move into colour. 1998, more space needed for those amazing deals. Out with Coca Cola and in with Sparkworld. New logo and new branding. 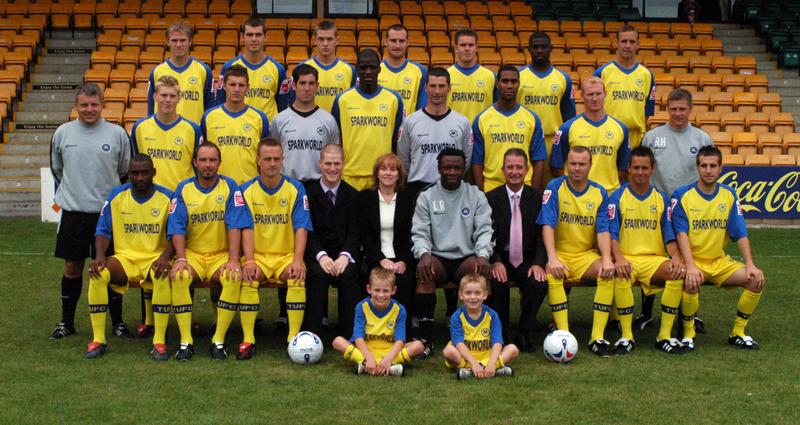 Sparkworld Ltd and Torquay United successful together. Tristan launching his new career as a Director at Sparkworld as well as raising over £3000 for Rowcroft Hospice. Celebrities at Sparkworld. Gino D’ Campo and Zanussi helping us raise funds for St. Margaret’s Hospice and to launch our new huge kitchen studio at Martock. Eating Cake, an exceedingly good way to raise funds for Rowcroft Hospice and celebrate the opening of our extended and revamped store at Heathfield. New website new branding. A new logo to take us forward into our next phase. 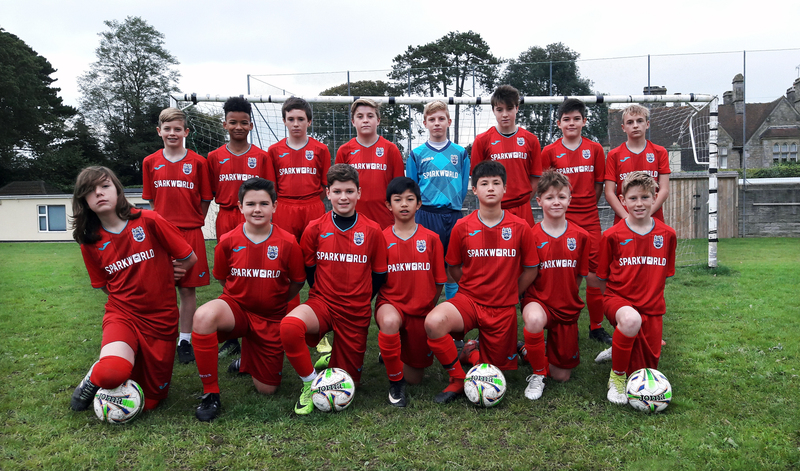 The first public display of our Logo is on the shirts of Bovey Tracey under 14’s football club. Sparkworld was started by Marian Crausaz and Ian James who had previously been business partners. Sparkworld’s first move from Kingskerswell to Brunel Industrial Estate in Newton Abbot. The shop expanded into retail and wholesale. Current store in Heathfield was bought, building was expanded to include large showroom and a 5000 square feet. Martock appliance store was opened. Sparkworld start to sponsor Torquay United Football Club. 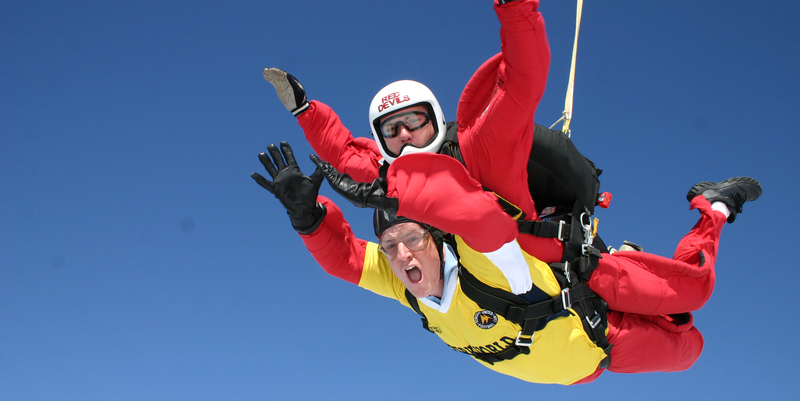 Tristan completed a skydive, raising over £3000 for Rowcroft Hospice. Heathfield Kitchen Showroom was built allowing Sparkworld to start the sale of locally constructed, high quality kitchen units & worktops. 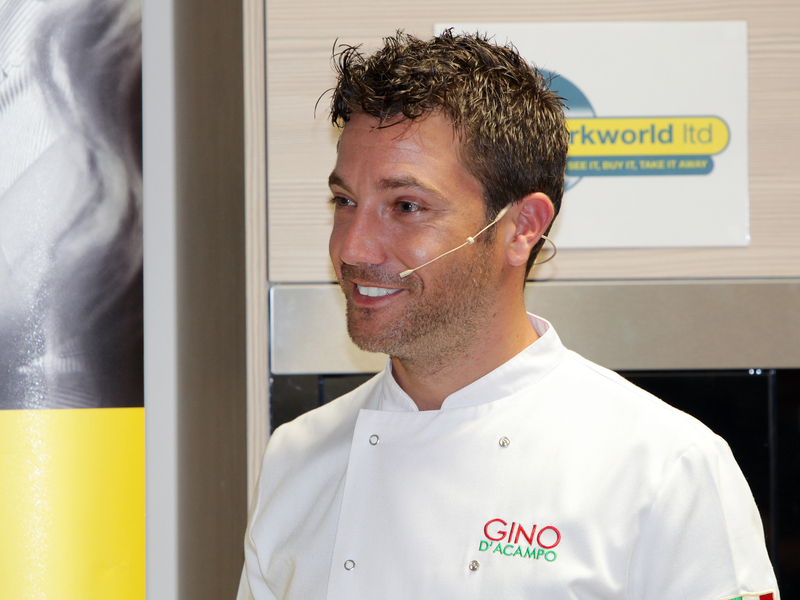 Gino D'Acampo visited our Martock store which went through a major refurbishment.